Rigby’s Leather Cartridge Bag offers form and function - John Rigby & Co.
London gunmaker John Rigby & Co. has unveiled its latest premium accessory, the Rigby Cartridge Bag, which is an ideal choice for all shotgun enthusiasts. Handmade from robust bridle leather, it has been designed to withstand the rigours of use in the shooting field and also features hand-stitched brass fixings along with a thick canvas strap. 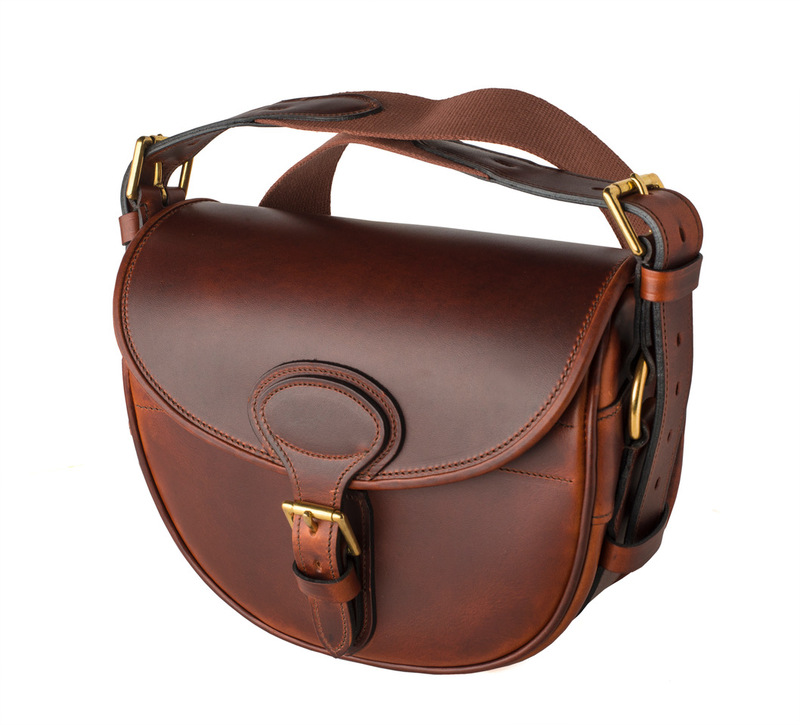 The top opening of the cartridge bag has been hinged and designed to fold flat against the bag when opened for easy access to your chosen shells. It is offered in ‘100’ size – based on 100 12-bore shotgun cartridges – which allows for a greater capacity of smaller-sized cartridges and comes in a brown colour, Cognac.